Sellers was diagnosed in October 2015. He only revealed he was battling Stage 4 pancreatic cancer in January of this year (2016) in a New York Times column where he wrote he hoped to see solutions to climate change in his lifetime and would continue to work on climate research until he died. Overseeing scientists researching climate and weather, Sellers was serving as the deputy director of sciences and exploration at Goddard Space Flight Center. It was a position he held since 2011. “His curiosity and drive to uncover new knowledge was generously shared with audiences around the world, both from space and in wide travels to reach as many people as possible with an essential understanding of our fragile planet,” Bolden said. Born on April 11, 1955, in Crowborough, Sussex, in the United Kingdom, Sellers graduated with honors with a bachelor’s degree in ecological science from the University of Edinburgh in Scotland in 1976. He received a doctorate in biometeorology (the study of the relationship between organisms and weather) from Leeds University in 1981. Sellers also had an accomplished career as a climate scientist. Before joining NASA’s astronaut corps he mapped a model of Earth’s climate system and focused on satellite remote-sensing studies. His research was focused on studying how the Earth’s biosphere and atmosphere interact. He combined the field work of various aircraft, satellites, and ground systems in Kansas, Russia, Africa, Canada, and Brazil. However, it is his career as an astronaut that Sellers will, perhaps, be best remembered for. He participated on three Space Shuttle missions where he logged some 41 hours conducting Extravehicular Activities (EVAs) during six spacewalks. Selected as an astronaut candidate in April 1996, Sellers worked part time in Moscow as a technical liaison on International Space Station computer software. 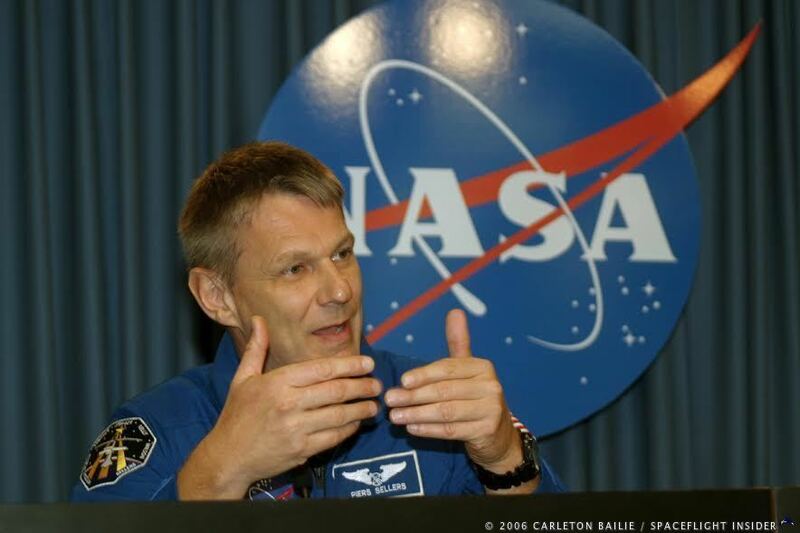 His first flight to space was aboard Space Shuttle Atlantis’ STS-112 mission in 2002. That flight’s primary objective was to install the S1 Truss segment in joint operations with the space station’s Expedition 5 crew. During that flight, Sellers performed three spacewalks and logged a total of 19 hours and 41 minutes of EVA. His second flight, STS-121, occurred in 2006. 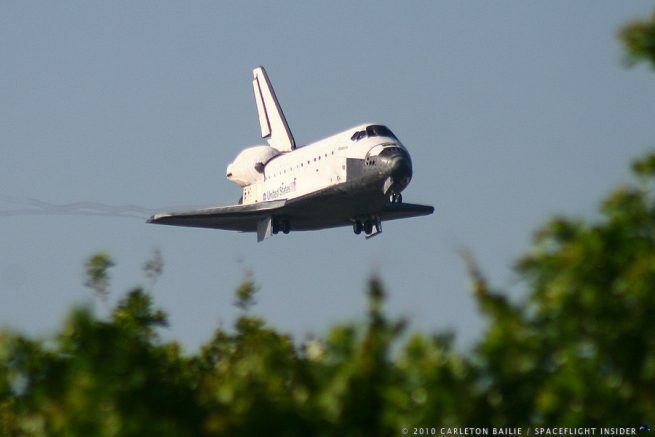 This was a 13-day flight aboard Space Shuttle Discovery, during which time he tested new equipment and procedures to increase the safety of Space Shuttle missions. Sellers, along with fellow astronaut Mike Fossum, performed three EVAs to test the 50-foot (15-meter) long Orbiter Boom Sensor System, an extension to the Shuttle’s arm that would allow for post-launch inspections of the orbiter’s critical heat-resistant re-entry tiles. His final flight occurred once again on Atlantis on STS-132 in 2010. Sellers served as the robotics officer and mission specialist-1 during that flight. Three spacewalks were performed to install a spare antenna and a stowage platform, replace batteries on the P6 Truss that stores solar energy. They also retrieved a power data fixture for installation on a later flight. 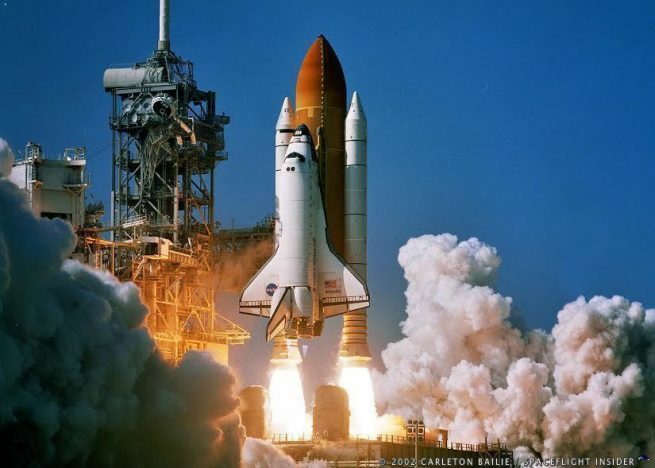 Over the course of three shuttle missions, Sellers was in space for a total of 34 days, 23 hours, and 3 minutes. Those that knew and worked with Sellers, including members of the elite corps of astronauts that he flew and trained with, expressed their feelings on his passing. First off it saddens me to read of another person dying from cancer. If the pharmaceutical companies weren’t so eager to make money we would eradicate cancer altogether. So much money is made as it is from drugs that are supposed to help those with cancer.wake up America and take a stand against this problem. My condolences to his family over this loss and to NASA for losing another astronaut. This is very sad. I worked mechanisms for NASA and was the prime lead for the STS-132 mission with Sellers aboard. During the TCDT test we would do an “L-1” day briefing for the crew in person in a conference room in the LCC. After the presentation the crews would sign autographs at their head table for all those who wanted. There was a baseball themed poster for that mission with all the crew members in the orange flight suits at a baseball field with the bleachers filled with people behind the dugout the crew was in. I took the small poster and got the crew to sign it for me. When I got to Sellers I had a couple of minutes to chat and asked about the cricket bat he used in the photo. We joked about it since my dad was a baseball fanatic. He was very personable in that short time we chatted. He signed the poster twice, once near his picture and once at the top near his name. I have the poster hanging in our hallway here at home.